Our school is named after a real-life hero, 1SG Samuel K. Solomon, Jr.: an enlisted member of the Wolfhounds, from the U.S. Army's 25th Infantry Division. He earned the Silver Star, the Bronze Star and the Purple Heart for his courageous effort in saving wounded members of his company in the Vietnam War. As 1SG Solomon was carrying the wounded men to safety, he was hit by gunfire and killed. 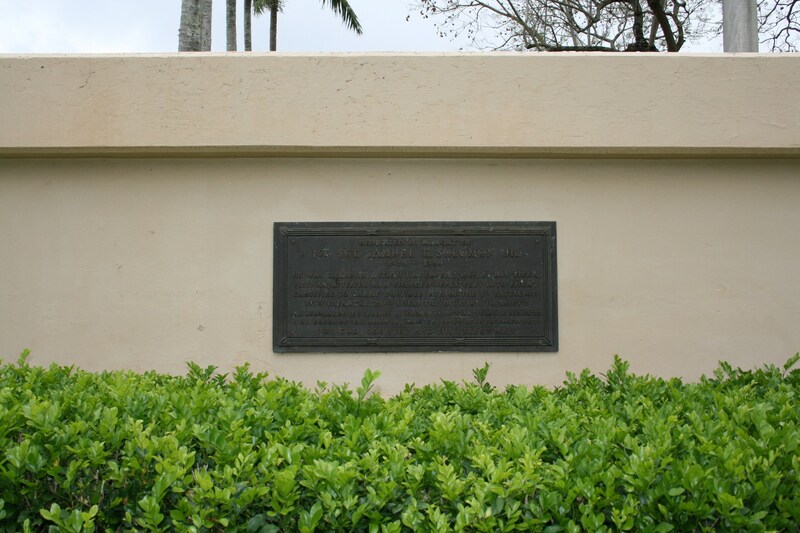 In the story of 1SG Solomon's dedication to his comrades and service to his country, we can find many of the values we feel are important to ourselves and families today. 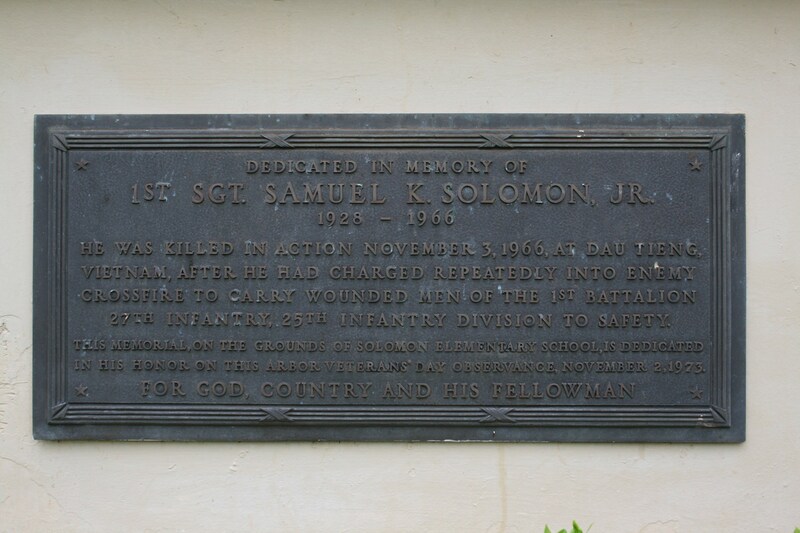 On November 11, 1969, Veteran's Day, the school was officially dedicated as 1SG Samuel K. Solomon Elementary School.